The country is in transition and the world is in transition. The way Sri Lanka plays its cards will determine the country's future, Prime Minister Ranil Wickremesinghe said. Delivering the keynote speech at the annual convocation of the Bandaranaike International Diplomatic Training Institute (BIDT) at the BMICH on Thursday, the Prime Minister said Sri Lanka needs to look at the ability for Asia and West to work together while restructuring its foreign policy and looking at a new international service for the country. He said this is a crucial moment for the world because there is a question as to what will happen with the western dominance of the global order which lasted for more than seven decades. “We are seeing the end of the post-cold war order. For 70 years, the policies pursued by the west like granting independence to the nations, promotion of their own models, agreement on trade and tariff and world trade organisations, the alliances that US had with Japan, East Asian and south east Asian countries and strategic understanding with China, all resulted in a booming Asian economy which was able to withstand the 2008 financial crisis. Despite the dire predictions of what will happen to the Japanese and the Chinese economy, it is still growing. The Asian economy will grow," he said. Referring to the Trans Pacific Partnership (TPP), the Prime Minister said that with or without the USA, Asia must go ahead forging closer economic partnerships. “The US is not fully evading the trade. They will do a case by case approach to trade agreements with Asian countries. Our approach should be to go on a dual path agreement with the USA while looking for ways to join the TPP. We should also get ready for FTA," he said. Prime Minister Wickremesinghe said Indian Prime Minister Modi is also putting together many initiatives to deal with the neighbourhood. “These policies are not in conflict with each other. Sri Lanka must look at how we can work together for a regional comprehensive economic partnership,” he said. The Prime Minister said Sri Lanka has to have two aims: increase trade within Asia and raise living standards of the people so that Asia becomes a bigger consumer market with a larger middle class. 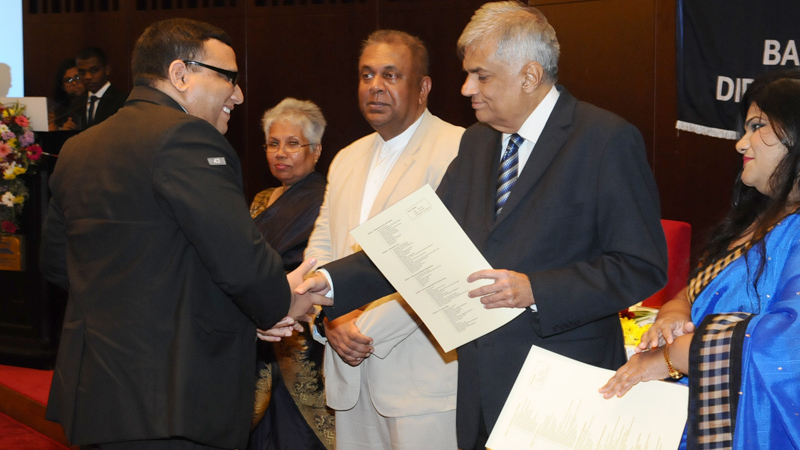 Prime Minister Wickremesinghe said Sri Lanka has a duty to press for closer economic cooperation within Asia. “We have an important role to play in getting Asian trade together. The rise of Asia does not mean the collapse of the west,” he said.